Do you remember the last time your friend told you about the biggest fish that he or she ever caught? (It was immense!) Of course, there is no real evidence of the fish. It’s not like there was a photograph or something that you could see…but, as your friend will tell you, it was one of the biggest fish they’ve ever seen. 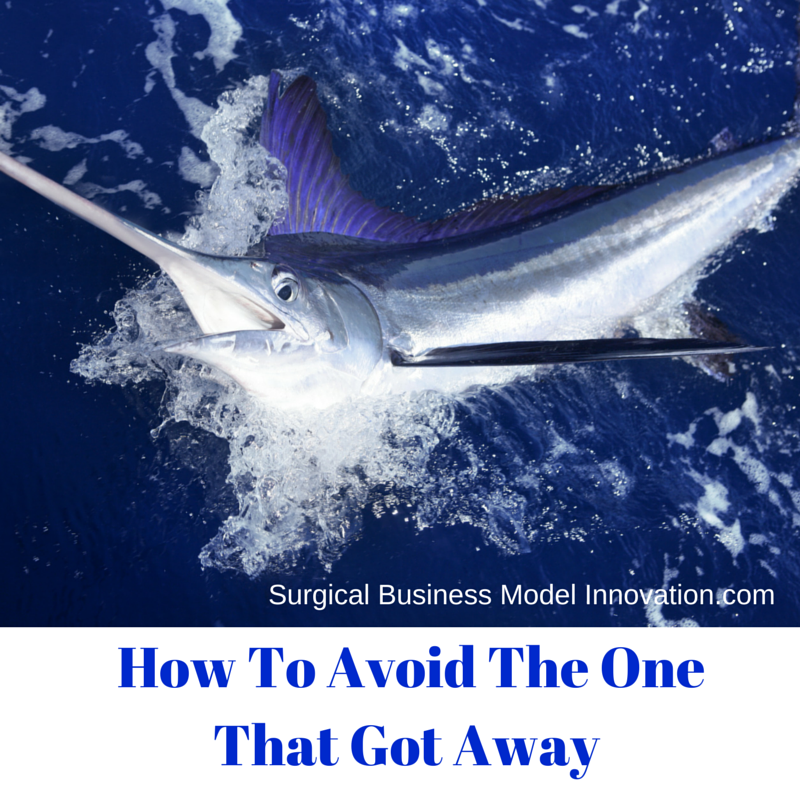 Here, we discuss an important quality improvement technique that can help you avoid being caught up believing in that biggest fish story ever told. Have you ever heard of an Ishikawa diagram? Guess what. It’s also called a “fishbone diagram”. The Ishikawa diagram helps you identify those factors that you think correlate with a certain outcome. Sometimes it’s called Y=f(x). This gives the idea that the outcome you’re looking at, Y, is a function of different variables in some system. Recently, a quality improvement team I helped used this fishbone diagram to avoid being caught up in a fish story like the one your friend may have told you. Here is how they did it. This particular team was interested in how long it took them to bring on new physician hires, because delays were really impacting the system. There are lots of factors involved and the team used an Ishikawa diagram to label all those factors that they think played an important role. There were a whole slew of factors that the team thought could influence how long it took to bring on new hires. The team could have taken the bait (sorry for the pun) and simply tried to adjust the most obvious factor they intuitively thought correlated with time until a new physician hire got to work. Instead of falling for that fish story (yes, I’ll say it: hook, line, and sinker…) the team decided to use data to help them see what correlated with time until a new physician got to work in the system. In this case, the team learned that the only factor which reached significance in the model of the factors contributing to total time until the provider started was the variable “amount of time from when the state medical board received the providers completed application until it went before the board for acceptance” which they called board receipt to presentation. This is an important learning point for the team. It turns out many of the other things they thought correlated didn’t seem to reach significance and, so, working to improve those other factors probably wouldn’t influence time until the physician got to work. This important fact allowed the team to refocus on how to decrease that important time from submission of an application to the board until final board approval. How did the team do it? They broke down the factors that often made the board have to go back and forth with them as a healthcare system. They looked into what prevented an application from being turned in cleanly and immediately going to the board. Then they looked to decrease cycle time from when the board asked for more information until the board representative received the information it needed. They looked at how to decrease the number of incomplete applications and how to answer questions better (and faster) so that applications could be put before the board more quickly. The team knew where to fish because it knew where to spend its time concentrating. Now you see an important way that a fishbone diagram can be used to avoid a fishing story filled with red herrings. One way to avoid misdirecting effort and time in a quality project is to use the fishbone diagram along with a multiple regression. We hope you find these two tools more useful together and best of luck on your next fishing trip. Posted on June 1, 2015 Author David	No Comments on Have You Ever Used Stealth Sigma? Have You Ever Used Stealth Sigma? You took a job at a place where they don’t use Six Sigma…now what? Ut-oh…you’ve entered an organization and it’s one that doesn’t use Six Sigma…but that’s one of your favorite toolsets! Maybe you use Lean techniques and Six Sigma ones, routinely, together. After all, you know very well that the Six Sigma process is really just a collection of effective tools put together in the best manner to achieve great outcomes. You know that it’s not so much that Six Sigma is the only way to get things done; however, you know it’s a highly effective process and that it complements Lean so well. Again, the problem is, your organization doesn’t use Six Sigma and maybe even says “We don’t do that here”. It could be that the new place uses Lean by itself or some other process, which, of course, is infinitely better than having no process at all! Have you ever been in that situation or heard about it? 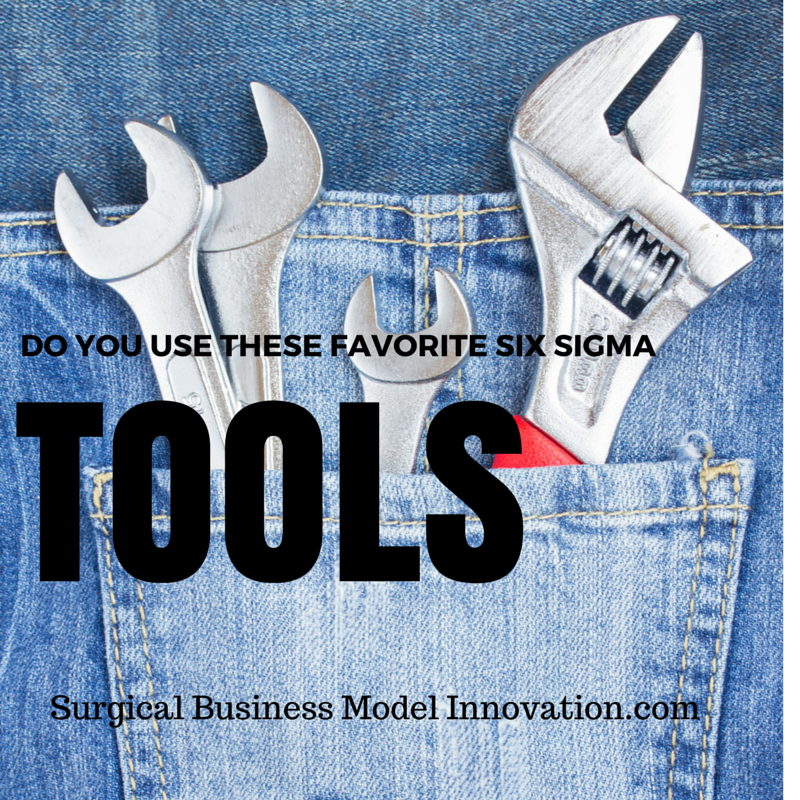 If you have, then read on for some advice about how to operate with the tools of Six Sigma effectively in an organization that “doesn’t use Six Sigma”. Don’t call what you’re doing Six Sigma. I have learned this from entering several organizations that outright say “we don’t use the Six Sigma process”. Like I said above, practitioners who utilize the Six Sigma tools know that they are merely a set of statistical tools strung together in perhaps the best possible manner. More important even than the math behind Six Sigma is its ability to influence culture and produce positive change. Whichever way you look at it, I have found, over time, that entering an organization that practices something like Lean (to the exclusion of all else) often means that I can’t call what I’m using “Six Sigma”. 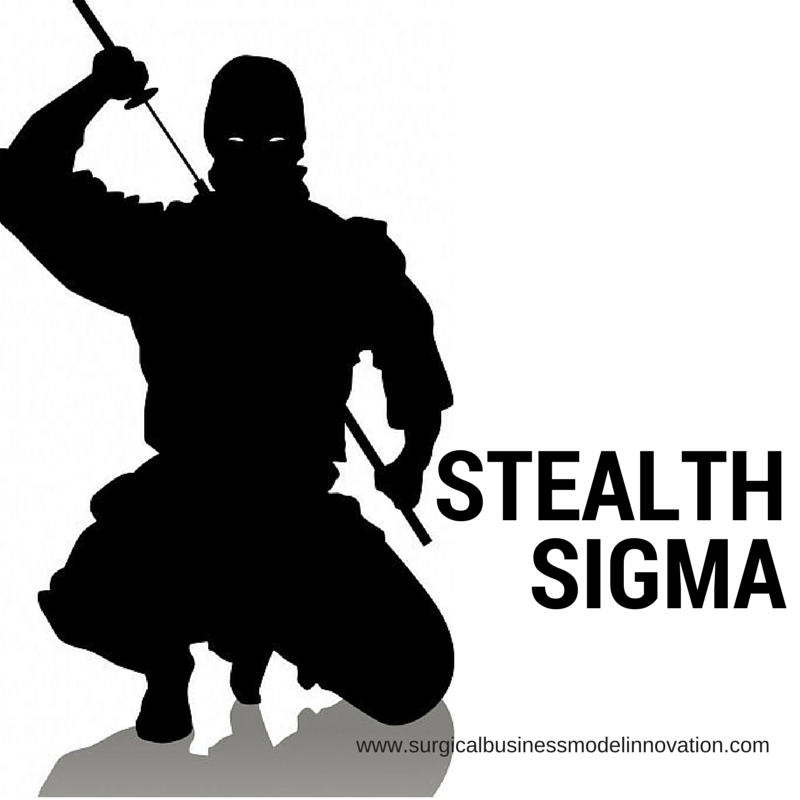 Sometimes this technique of “doing Six Sigma” without advertising it in any way is called “Stealth Sigma”. Why bother with Stealth Sigma? People seem to react to the term “Six Sigma”. They have preconceived notions about it. Often, it’s not a body of knowledge they have attained and it’s sort of math intensive. They are interested in the sometimes more soft vocabulary of Lean. The Six Sigma body of knowledge, is, again, often fairly math heavy. Talking about things like data distributions doesn’t go down well in the organization that is focused on less quantitative tools. Instead, don’t ever package or use a term for exactly which tools you’re doing. Use terms like “quality improvement project” and other terms like “statistical process control”. Again, let me recommend, whatever you do, call the process you are using something other than “Six Sigma”. Although you may be using the statistical tools and knowledge behind them, try to focus on bringing people together over important issues. Give them the background on devices you are using like project charters etc. There is no need to ever give them the overview of the fact that you are using the DMAIC process or other tools. Just walk them through it and show them the data. Often, they won’t ever realize that you are helping them perform their first ever Six Sigma project. When there is a success in a project, highlight it greatly. Again, I recommend doing this to make staff feel good about the quality project they’ve just done. Once they are on the other side of it they will start to feel that Six Sigma (or whatever you’ve called it) isn’t so bad. Highlight tampering versus under controlling. One of the powerful elements of Six Sigma is its ability to generate statistically useful conclusions. You can guard against tampering (and under-controlling) with hospital systems. Other quality systems don’t do that so well. I recommend highlighting the risk of type 1 and type 2 error. Highlighting decision-related issues like that helps differentiate the tools you know and use from others that the organization is currently using. It shows what the tools can do for you and the the organization you’ve joined. At the very least, the samples on which we base our decisions can be very poor. This leads to organizations that lurch from one problem to the next rather than truly repairing problems. It’s a problem, but by no means the worst one you can have. I add this commentary because, in the set of problems your organization can have, I think this is a fairly good one. It shows that people are trying, they are interested in making improvements, and they just need some guidance to understand when to intervene and when not to. So, when you use Six Sigma in an organization that does not have, believe in, or utilize the Six Sigma body of knowledge, highlight the benefits of using the statistical tools themselves rather than attributing them to the Six Sigma body of knowledge. The tools can help protect you from tampering with systems and also under-controlling for problems. In conclusion, let me share with you that I’ve been in organizations that use only the Lean toolset or only a similar quality improvement toolset. Those organizations can achieve remarkable outcomes and do very well. However, it’s worth noting that when utilizing some of the quantitative Six Sigma tools in organizations like that, it is important to perform what is often called “Stealth Sigma”. This means it’s important to call what we are doing statistical process control or use some other term. Remember to highlight early successes and try to get the team rallied around a certain important fact only to quickly celebrate their achievement when they get to the other side of their first Six Sigma project…whether they know they’ve done a Six Sigma project or not!